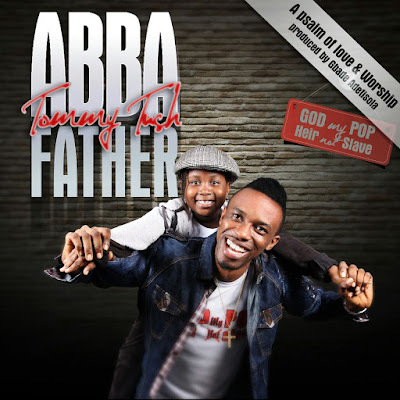 Gospel music minister and psalmist Tommy Tush has released a new single titled ABBA Father. The Song is a Psalm of LOVE and WORSHIP. It’s a song that expresses the unconditional LOVE of the FATHER GOD. In this song, Tommy Tush, deeply expresses his affection for the FATHER as his source and sustainer. Tommy Tush is Singer-Songwriter and Director of Music at his home church HarvestHouse Christian Center with headquarters in One of West Africa's main cities, Ibadan where is committed to raising music giants. As a performing artist, he has performed with several great acts locally and internationally. He has written many songs which are loved many globally as its always a blessing to them. ABBA FATHER is the first song off his debut album which will be released in 2017. This song was produced by one of Nigeria's finest Gbade Adetisola (@klinmix_baba) Head of KlinMix Productions in Ibadan.